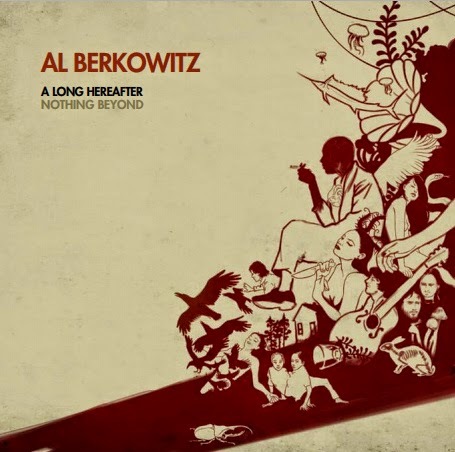 Over the last years, Al Berkowitz have combined strikingly original music with euphoric live performances and have quickly become recognized as one of the most captivating and experimental bands around Southern Europe. Their sophomore effort, halfway between psychedelia, folk and experimental music, comes out worldwide in a revised version on Tempel Arts, roughly two years after being released in Spain to critical acclaim. This vibrant video for the song "How could we get ourselves lost?" goes along with this release. The video has been recorded by Spanish filmaker Mariuca, a long time collaborator with the band. A Long Hereafter / Nothing Beyond draws a genuine and unclassifiable musical universe, where every little detail seems to fit in neatly. It features crushing harmonic affluence and expressionist, yet delicate, arrangements. The album's eight tracks maintain a sincere and honest essence through opposing spirits and styles. This new album was recorded in a heavenly spot off the coast of Cádiz (Spain) and self-produced by vocalist and multi-instrumentalist Ignacio Simón. After the recording sessions, Aldous B. Berkowitz's disciples spent a long time chiseling and shaping their most ambitious project to date. A Long Hereafter / Nothing Beyond culminates a series of releases arising from those same sessions which have multiplied their followers lately: the singles The Frenchman and The Rabbitman and Magical Cynical and the EP A Better Way. A Long Hereafter / Nothing Beyond is influenced by lots of artists and styles: Beach Boys' baroque visions, Robert Wyatt's melancholy, Robyn Hitchcock's psychedelic folk, Grizzly Bear's pop experiments, Charles Ives's and Takemitsu's dreamy landscapes, The Pop Group's dark intensity, Nick Drake's intimacy or the histrionics of the earliest Pink Floyd, just to name a few. Having already showcased some of this new songs in countries such as Italy, Spain and Netherlands Al Berkowitz will kick off a long tour that will take their music to Denmark, Germany, France, Canada and some more places. Hey, thank you for you blog. Nice material, nice taste. Keep 'em coming.